The 71-page manual published this year offers bomb-making and smuggling tips, as well as tips on using social media, including using Tumblr “(make your own blog – they do not ban Jihadi blogs yet)”, Twitter, and Wikihow.com, the user-generated site that will tell you how to do just about anything. 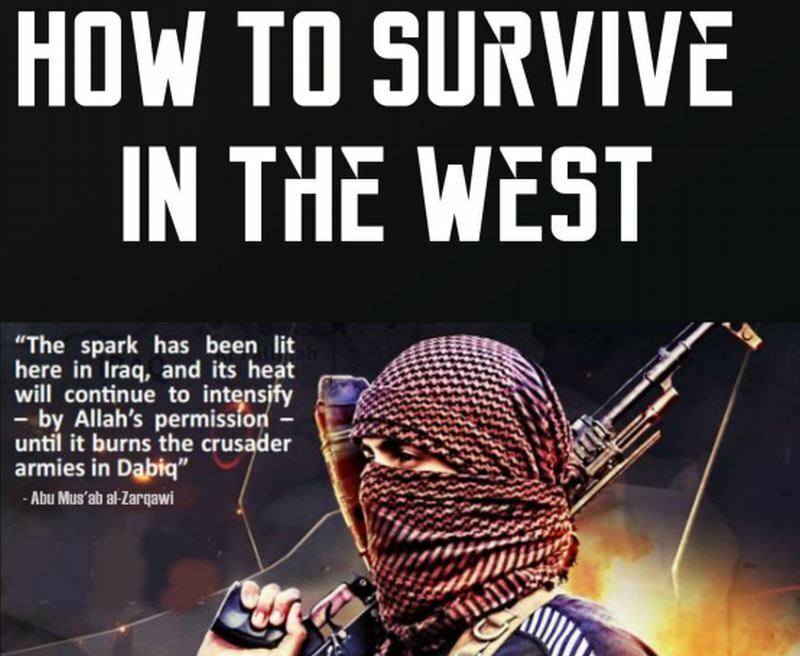 Written in English and divided in easy-to-read chapters, “How to Survive in the West” offers a chilling forward that describes a Western propaganda campaign that aims to see Islam banned around the world. “We as free Muslims cannot sit back and get locked up for something which is not a crime in the sight of Allah. In the Ummah (Nation) of Prophet Muhammad (saws), we have been taught to physically fight to defend ourselves and our religion, no matter where we are in the world,” it states. It then goes on to suggest Israel sends out spies who pose as engineers and then plant bombs in buildings they design (Sound familiar, 9/11?). It also describes how to dress, act, and behave around non-Muslims while carrying out “easy money” scams like hacking, credit card fraud, and theft, the proceeds of which should be used to buy precious metals and jewelry, because it’s logical when the police come knocking to have those items in the house. It lists sundry online methods to disguise email and IP addresses, including TOR.com, which I’m afraid to even go look at, but which the manual says will send a new IP address to the browser every time a search is conducted from a computer (in case you’re that kind of person). And if after all your urban and guerrilla warfare and survival training fails, the manual almost in passing mentions CagePrisoners.com, which offers ample discussion on rendition, international terrorism policies, detention and torture, and covert operations. Cage describes itself as “an independent organization working to empower communities impacted by the War on Terror.” It caught proverbial flak earlier this year, according to news sources, when it argued that Jihadi John was harassed by international security services before he moved to Syria. His group’s website offers tips regarding surveillance, raids and interrogations. “Jihadi John” is the man videotaped beheading Americans and others in the past year. He was identified in February as Mohammed Emwazi. He and Begg were allegedly photographed separately with a camp commander at a Syrian training camp in 2011. Begg’s group now appears to be the Islamic State’s go-to guy for legal advice for those caught in the West’s legal system.